Milan is known best as the global and fashion capital of Italy’s Lombardy region. It is a metropolis with lots to offer, from architectural excellence to top fashion and attractions. This article lists out the top 10 neighborhoods in Milan, where visitors can choose to stay, or for those wishing to migrate to the city. Navigli can be aptly dubbed as the party district of Milan. Located in the south of the city, it is a lively district which is home to a large group of students and young professionals. This locality is home to 3 major univiersities; IULM, Bocconi and Naba. While the district is largely quiet in the daytime, it becomes vibrant and bustling with activity and energy after 6pm when school is out. Much of the life in Navigli is about its nightlife and lies between the two banks of the canal. On Sundays, a Sunday market is set up and one will be able to visit several vintage stalls selling interesting knick-knacks. Enjoy all Navigli has to offer by staying in this modern and stylish condominium that’s walking distance from top sites and attractions. Bicocca is an interesting district which is enveloped by the very green Parco Nord. This park, also known as North Park, is one of the largest parks in Europe. The famous University of Milan Bicocca has an amazing architecture which is somewhat similar to a movie set. The campus also boasts several coffee shops, a multiplex as well as a shopping mall. If you’re looking for a place to stay in this neighborhood, try this lovely, recently refurbished two-bedroom apartment. One highly residential, yet green district, worth staying in is San Siro. San Siro is close to other conducive residential areas like De Angeli and Wagner. San Siro is also home to the famous San Siro Stadium where soccer matches take place on a regular basis. During important matches, crowds throng to San Siro to catch their favorite matches or soccer players. San Siro has beautiful residential complexes and is full of attractions such as vibrant bars, affordable pizzerias and restaurants. If you are looking to be away from the chaos of hustle and bustle of city life as well as being able to breathe the atmosphere of the soccer season, then San Siro is the place for you. It is also family friendly with many playgrounds around for kids to play in. Want to stay in San Siro? 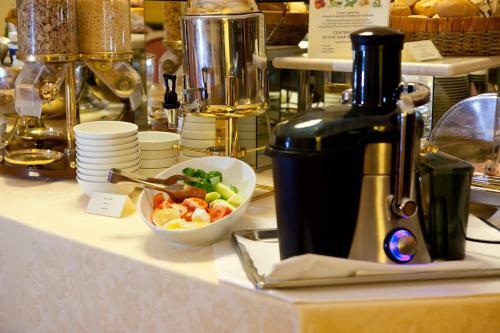 Consider the popular Antares Hotel Rubens, which is also known for its amazing breakfast buffet. Brera is a district in Milan which is a splendid blend of history and modernity. While retaining the historical heritage of the area, design and innovation are prominent features of Brera. Head to Via Brera and view the famous Pinacoteca, which are galleries containing works of art like the National Gallery of Modern and Antique Art and the Academy of Fine Arts. 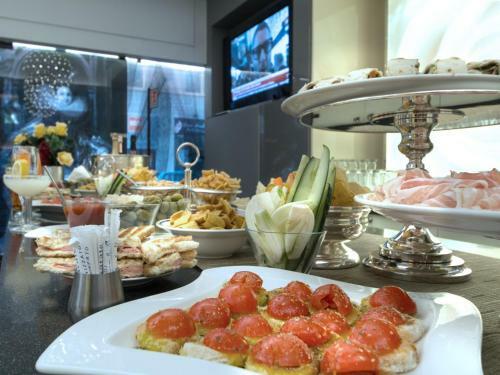 Brera also features several fancy cafes and restaurants which many university students frequent. Admire the architectural excellence of the buildings in the area as well. On Sundays, a local market pops up and this is where people can get to see a combination of art, lifestyle and fashion being featured. To get the full Brera experience, book a room at the Hemeras Boutique House - Montenapoleone, with suites designed with details that reflect the district’s elegant vibrance. Citta Studi is best known as the home to the University District of Milan. As such, this makes Citta Studi a student-centred district. The heart of Citta Studi is Piazza Leonardo, where the College of Engineering and the School of Architecture are. 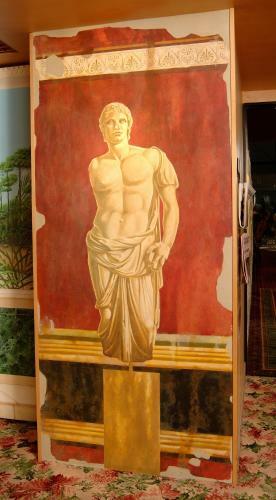 Walk along the streets and you will be able to find works of the street artist PAO. The atmosphere of the district is lively and youthful owing to the presence of the university. Whilst in Citta Studi, enjoy the artisan beers as well. For accommodation, try this bright and spacious room in an early 20th-century building. Do you want to be my guest? San Donato Milanese is a municipality located about 10 km (6 miles) southeast of Milan. San Donato Milanese is best known for being the home base for several industries. Many Italian companies have their headquarters in San Donato Milanese. For instance, Italy’s main oil companies like Saipem and ENI all reside in San Donato Milanese. If you are considering staying in this locality, then chances are that you are there to visit a company. 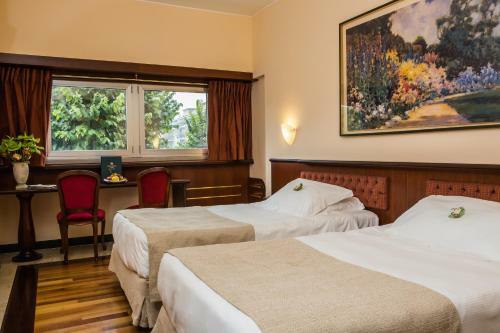 There are several comfortable accommodations in the area and being close to Linate is a major benefit. Santa Barbara Hotel is a great accommodation option in this neighborhood. This is a bourgeois neighborhood, which is situated in the west of Milan. Many families stay in this locality due to the peace and solace the area provides. There are also several green parks in the area such as Parco Pallavicino and Parco CityLife. As such, Wagner has been dubbed as the greenest part of the city. Piazza Wagner is home to several supermarkets and bookstores. One will be able to find restaurants serving varied cuisines such as Japanese, Chinese and Italian in Wagner. The area is well connected by the M1 underground line and this connects Wagner, Pagano, Buonarroti and Amendola stops to Duomo and central Milan. One of the top places to stay in this area is Stanza Delle Nuvole, which translates to ‘room of the clouds’. 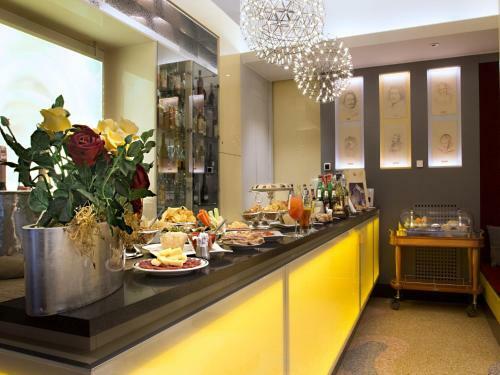 Be treated like a VIP when in Moscova, as the locality is best known for its upmarket boutiques and fancy cafes. Located between Garibaldi and Lanza underground stations, the area is highly visited by fashionable people and those looking to visit the several boutiques. Many young people also hang out at Moscova for after work aperitivos with friends. One will also be able to find modern skyscrapers along with a famous green park, Parco Sempione. This park is a great place for people to exercise at or have a stroll with their friends and families. As with the upmarket stores in the area, the residential complexes are also expensive with high priced rentals. Moscova is best known for its role as host to the annual event, Salone del Mobile, one that attracts visitors from around the world. Consider staying at the NH Milano Palazzo Moscova if you’re looking for an accommodation that matches the grandeur of this neighborhood. 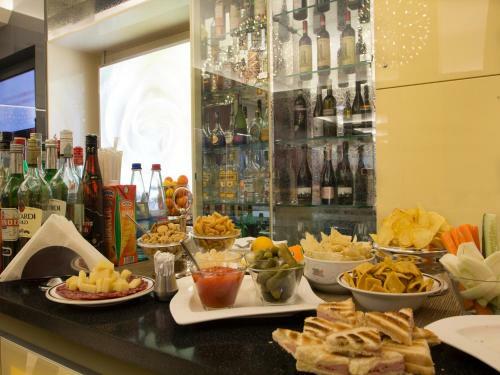 If you are in the city primarily for shopping, then Porta Venezia is the perfect place to be in. Corso Buenos Aires, around Porta Venezia, is the longest shopping street in Milan and will suit the needs of everyone wanting to shop in the city. It is a highly accessible street with the metro line M1 right in front of it. Porta Venezia is also populated with local restaurants at affordable rates. There is a large residential community in this area, making it a relatively safe neighborhood. Staying at this locality puts visitors at a central location to access major sights and shops. 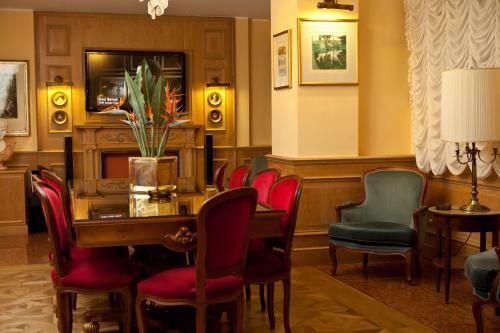 Among the great accommodations in this area is the quiet and cozy MM Venezia, which even comes with a lovely fireplace. Centro Storico is considered to be the historical centre of Milan. Centro Storico is home to Milan’s most famous landmarks and sightseeing attractions such as the Duomo Cathedral. It is mainly a walking district and also contains a range of boutiques, restaurants and cafes. This area is well connected to the other parts of the city by using the metro lines M1 and M3. Staying at this zone puts visitors close to all the essentials that need to be seen in the city without having to travel much. To fully experience everything that Centro Storico has to offer, pick an accommodation like this sleek apartment that provides easy access to major attractions. Now that you are in a better position to make a decision on the best neighborhood for you to stay at, go ahead and make a booking in one of the best accommodation options to make your trip extremely memorable. Looking for a hassle-free journey to your accommodation? Taxi2Airport is the easiest and most reliable way to get to and from the airport. Through secure online payments, you can book your airport transfers in advance, saving up to 35% on your journey.